After the 10:30 “Celebration Service” there will be an egg hunt (kids from 1st service will also walk away with treats), balloons, and an Ice Cream Truck. It’s gonna be a fun morning with a powerful message that you do not want to miss. 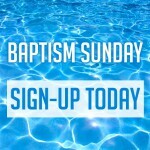 This Baptism Service will take place right after the 10:30 service at the Emerald Events Center. Sign up in person or call 440-318-5311 for more info. Join us this Mother’s Day at Cambria Hotel in Avon for one of our services (9a & 10:30a). It will be a fun morning with great worship, a panel of Mother’s sharing about life, great giveaways and some photo opportunities. You don’t want to miss it! Invite someone to share the morning with you!